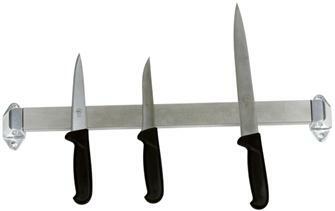 Magnetic 30 cm aluminium bar for holding your knives close to hand. 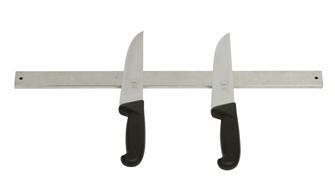 Magnetic 45 cm aluminium bar for holding your knives close to hand. Stainless steel 50 cm magnetic bar with very powerful neodymium magnets. Stainless steel and wood magnetic bar - 45 cm - with very powerful neodymium magnets. Professional magnetic bar measuring 55 cm in extra powerful stainless steel. Professional norms. Hanging bar for ladles, skimmers and spatulas. An elegant stainless steel bar.